Our mission is to familiarize college students from around the Midwest with the Fox Cities community, its top employers, and the limitless career paths available here. Employers in the Fox Cities depend on high-quality talent to meet current needs and facilitate future growth. Talent Upload is the matchmaker, giving students an opportunity to explore life as a young professional in the Fox Cities and employers a chance to engage them before they enter this ultra-competitive market. I am a student and am interested in attending the Fall 2018 Talent Upload. I am an employer and would like to get my company involved with Talent Upload. I am interested in sponsoring Talent Upload financially and/or in-kind. What did Talent Upload students have to say? What is your perception of living as a young professional in the Fox Cities? How likely are you to pursue a job/internship in the Fox Cities? 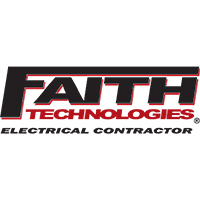 Join Faith Technologies, a national leader in electrical planning, engineering, design and installation focused in growing industrial, general building and critical technology markets. Our core purpose: Creating World Class Opportunities to Succeed. Our mission: Making our customers and ourselves better through passion and practical solutions and the relentless pursuit of perfection. Core Values: -Uncompromised focus on keeping people SAFE -Build TRUST in everything we do -REDEFINE what’s possible -Reward individual results that create TEAM SUCCESS! 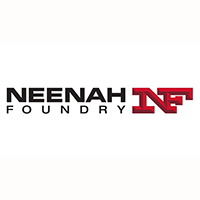 Bringing over 140 years of experience, Neenah Foundry, has been a consistent leader in producing durable castings for municipal and industrial sectors across the world. Neenah Foundry is a provider for many of the world’s leading manufacturing companies. Our facilities provide casting, forging, machining and assembly of key component parts for heavy truck, agriculture, construction, HVAC and a host of other industries. At Neenah Foundry, we are the experts who will work with you to understand your needs, and we will respond with products, solutions and services to help you get the job done right the first time. From prompt deliveries to outstanding customer service, we strive to be your partner through it all. We are so much more than manholes, so much more than industrial products and so much more than a foundry. If you think this sounds revolutionary, you’re right. If you think it’s a little bit radical, we’re OK with that. 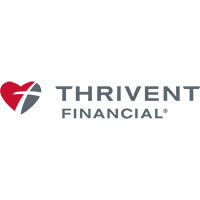 But if you’re intrigued by our mission and the possibility of becoming part of it, we invite you to learn more about a career at Thrivent. When it comes to delivering value, Trilliant® is beyond comparison. We are one of a few vertically integrated coffee manufacturers in the market today. This means that we source our own beans (from over 25 countries), roast, grind and package them. We provide high quality and consistent coffees with our state-of-the-art precision roasting system and time-tested roasting procedures. Along the way, we taste the coffee five times before it goes into the market. All of this is key to ensuring a high-quality, consistent product that is affordable. Our company was founded in Madison, Wisconsin in 1979 as Victor Allen’s® Coffee – a “micro-roaster” renowned for its high-quality, specialty coffees. 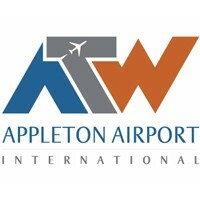 In 2003 the corporate headquarters moved to Little Chute, Wisconsin. The company became Trilliant® in 2013 and expanded into a new, state-of-the-art facility. 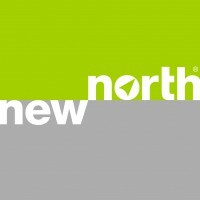 This facility enabled a dramatic increase in capabilities and brand offerings. Looking for students with light industry experience, food preferably but not a must! Werner Electric Supply provides electrical and automation products and services throughout Wisconsin, Michigan, and North Dakota. We are a company with a strong reputation for success, and each employee’s role is critical to fulfilling the mission of our organization. 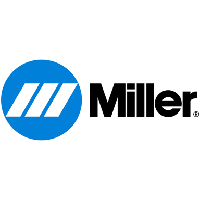 We are dedicated to continuous improvement, resulting in the long-term trust, profitability, and success of our employees, customers, vendors, and the communities we serve. All of these things are just part of what makes Werner Electric Supply such a great place to work! The environment and the knowledge of our employees is the main core of our business model. Our team is always improving and investing in employees, creating a positive and encouraging culture throughout. Frankly, “It’s the People!” We take pride in the extraordinary individuals we employ and do all we can to give them the tools and the knowledge necessary to be successful at their job. 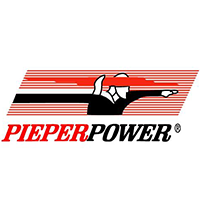 At Pieper Electric, our people are our power. As a full-service electrical, mechanical, and automation contractor, our people are what enable us to stand out in our industry. Founded on the principle that every person should strive to first and foremost be a servant leader, we work tirelessly to keep our people safe, enlighten and stimulate their minds, and teach them how to be good stewards of the community in a genuinely serving way. By putting our people first, we are able to consistently deliver to the highest quality standards in the industry and develop lasting relationships with our customers. 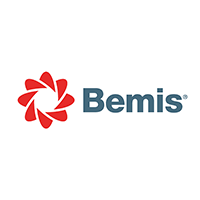 Bemis Company, Inc. is a multinational company and a major supplier of flexible packaging used by leading food, consumer products, medical and pharmaceutical companies worldwide. You’ve seen our products and opened our packages every day and you probably don’t even know it. Our innovative packaging and proprietary materials can be found in virtually every aisle of the grocery store. Bemis success is driven by innovative, creative, and motivated individuals ready to make a difference. C³ Corporation is an original equipment manufacturer specializing in packaging, material handling, and lamination in the foam and mattress industry. Our differentiation to our competitors is through our capabilities as an engineering firm providing automated solutions. I had so much fun!! I made new friends, got to tour facilities I was interested in working for, and I made a bunch of new LinkedIn connections with HR professionals around the community. Several employers told me to keep in touch for future job opportunities. Not only was it a memorable and exciting experience, but I also gained a lot of positive connections for my future career. Loved the event! Fun atmosphere, great to network with employers, all members of your staff were awesome! The employers were very nice, approachable, and genuine when talking with us. That was way better than I was expecting this to be. Not that I had low expectations, the event just had a "wow" factor that was really great! Hello everyone, my name is Chris! I'm currently a senior in the IT Management program (Networking focused major) at UW-Stout with a minor in Project Management, expecting to graduate in December of this year. I'm happy to say I have accepted an Internship with Bemis in Neenah for this coming summer, a direct result from attending Talent Upload. I had talked to a representative from the company at the "meet-and-greet" at Fox Cities Stadium at this most recent TU (I've attended both, and plan on attending again if I can!) which lead to an interview over Thanksgiving break, and subsequently was offered an internship within a couple weeks. Being born and raised in Appleton, I'm so happy to have something like Talent Upload in my home town, and am hoping to volunteer/get involved in a professional sense once I graduate and get into the working world. I'm s excited to see an event like this continue to grow, and cannot begin to express my gratitude that it's here. Thanks to everyone involved with Talent Upload! Talent Upload was probably one of the most beneficial, fun, interesting, and informative events I have ever taken part of. I don't know of any other community willing to put in this much work and effort to get the word out about their growing job markets. The lines of communication at all the events over the weekend were very open, and the employers seemed to be very open and accepting of questions, which was huge for me. Being able to communicate with them in many different ways, and settings, was awesome. It was a free event, we were connected with job opportunities, given a lot of free stuff, and shown a lot of cool places! What's not to like!? Live in the Fox Cities! If your company is interested in participating, please contact us to discuss your needs and the opportunities available.